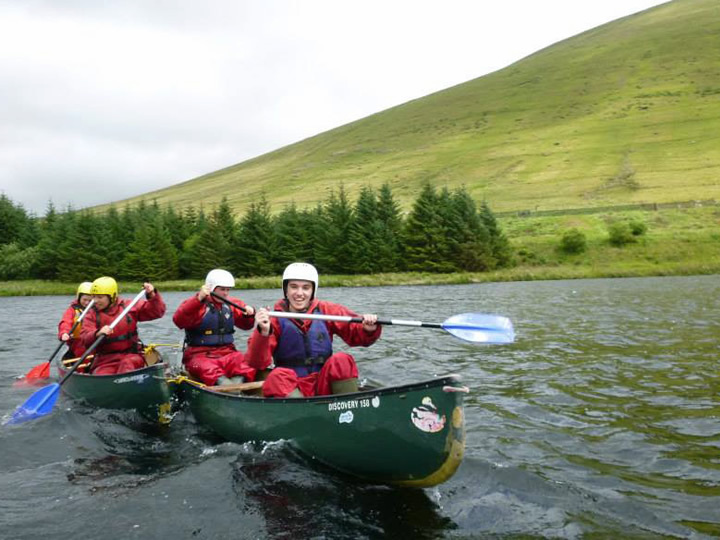 Storey Arms is ideally situated in the Brecon Beacons National Park for water based activities. You could be on one of the scenic reservoirs, the closest minutes away, in the Park or on the picturesque Brecon to Monmouthshire canal. If the water levels are right this could be on the river Wye or river Usk. If the weather is favourable you may learn how to sail a canoe or raft up canoes on your journey. These may be full day trips or half day trips that combine the day with another suitable activity.